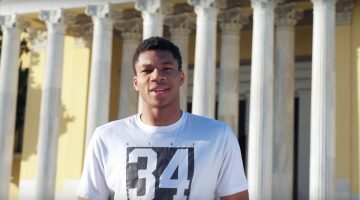 The Greek Tourism Ministry has unveiled a new video that stars NBA basketball superstar Giannis Antetokounmpo showcasing the tourism offerings of Greece available 365 days a year. Tourism Minister Elena Kountoura last year named Giannis and his brother Thanasis Ambassadors of Greek Tourism. “Since I met Giannis Antetokounmpo and his family, I was moved by his love for Greece. I asked him to become the Ambassador of Greek Tourism and he immediately accepted,” Kountoura told reporters during a press conference on Friday. “Throughout his international career, he has held Greece in his heart, while promoting the country worldwide,” she added. After speaking to the press, Antetokounmpo uploaded the new video on social media, instantly making it available to thousands of his fans. 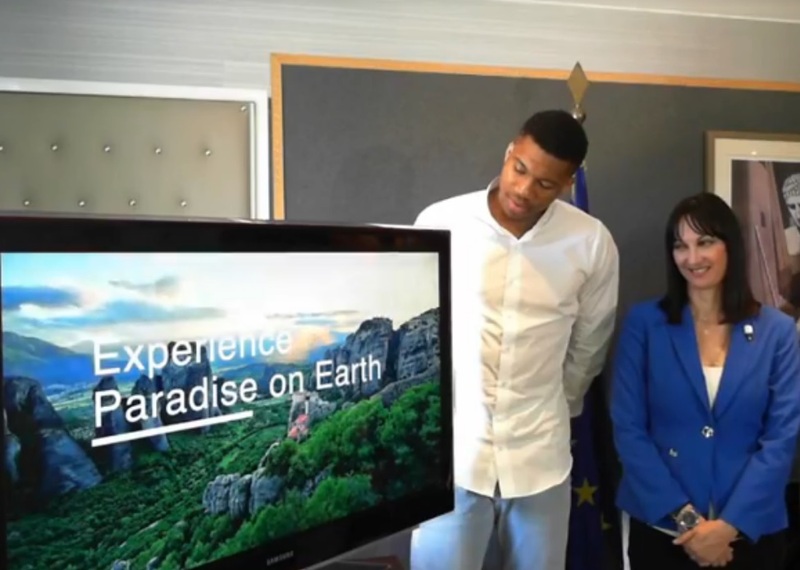 In the video, speaking directly to the camera, the basketball champion urges travelers to come to Greece for their vacations. “My family and I will try our best to promote Greece’s beauties, people and culture… The most important elements in Greece’s culture are solidarity and philanthropy,” he told reporters.”This is a chance to show what it’s like to be Greek,” he added.